Troublesome Creek, Kentucky is rightly named. There are few jobs, too little food other than what can be coaxed out of the stubborn soil and a deep prejudice back in the 1930s. If you are colored you don’t have the same rights as white folks and if you are a blue you are considered to be almost less than human. Children stare and almost everyone refrains from touching a blue. Cussy Mary Carter is a blue. She lives with her Pa and is proud to have a job delivering books with the Pack Horse Library Project. Pa works in the coal mines and along with the small amount of pay he also collects a large amount of coal dust that resides in his lungs and is slowly leaching the life out of him. Before he dies he wants to marry off Cussy so that she won’t be alone. Cussy on the other hand, does not want a suitor much less a husband. Married women cannot be Book Women and she loves bringing books to people in the Kentucky mountains. They cannot afford books and there isn’t a library to go to in Troublesome Creek. Known to many as Bluet, Cussy cares for the people on her book route. They depend on her. She grows closer to some than others, but always knows just which books and magazines to bring to each on her route. She goes without food to help feed starving children and brings coveted medicines to sick or injured along with the books in her pack. The town doc wants to do medical testing on Cussy, but she firmly refuses. Unfortunately she and her Pa need his help and the only way to get it is to allow him to run the tests he has asked for. She will take her first ride in a motor car and go to the city where they take some of her blood and examine her against her will. Surprisingly, there is a cure for her blue skin. The Doc has figured out her ailment and can treat it. She can be white – but at what cost? The harshness of the hills in the 1930’s is not sugarcoated in this novel. This is where people die from starvation, books and newspapers are hard to come by and blue people suffering from Fugates’ Congenital methemoglobinemia really exist. 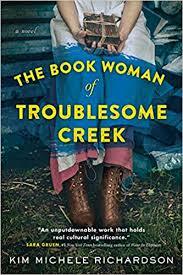 Ms. Richardson pulls the reader into the hard scrabble life of the Kentucky mountain people. Both the beauty of her prose and the stark realities, she pulls the reader along the rough road Cussy travels as well as the bits of beauty, charm and love she encounters. Ms. Richardson doesn’t just tell the story; you become immersed by the language and descriptions. A couple of my favorites are when Cussy first sees the city. “..the unusual buzz, the city’s open hymnal..” and also when she first sees the city hospital, “…a concrete tree with branches of polished corridors…”. Be sure to read the afterward that explains about methemoglobinemia, the history of the disease as well as pictures of those afflicted. The Pack Horse Library Project, established in 1935 as part of President Roosevelt’s WPA program is also detailed. By reading the afterward, it is evident Ms. Richardson weaves the facts masterfully into her work of fiction. An advocate for prevention of child abuse and domestic violence (which is also touched on in the book), Ms Richardson has written several novels as well as a best-selling memoir, The Unbreakable Child. On the surface, Alice lives a perfect life. She has two daughters, a wonderful husband and runs a very successful business. But underneath the guise of perfection lies the truth. She still longs for her first husband, the father of her oldest daughter, Sophia. He died while on a ski trip leaving her to mourn him while raising their daughter alone. She spiraled into darkness and with the help of pills shut herself off to the world. Alice has found love again with her new husband Nathan. Together they have Olivia, their daughter and he loves Sophia as if she was is his own child. Nathan partners with Alice at the design company she started with her first husband, helping to grow the business. He does all the traveling because Alice has a phobia about leaving since her first husband died on a trip, so they are the perfect couple. Things begin to unravel when she finds what seems like evidence that her husband is cheating on her. She cannot believe it, but things just don’t add up. The only person she can talk to is her best friend Beth, who was in a relationship that ended disastrously while she was pregnant with a daughter that is the same age as Sophia, and coincidentally is Sophia’s bestie. Beth does not trust men and rightfully so. She convinces Alice to follow up on her suspicions of Nathan’s adultery. This might just cause the carefully balanced life Alice has created to collapse. Can she survive another loss since the last one almost killed her? Ms. Jones has done it again. I loved her first book, The Other Woman. 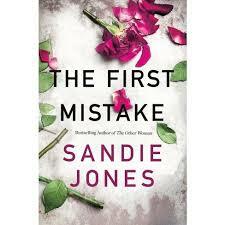 It is a deservedly a New York Times Best-Selling novel, and The First Mistake is sure to be at the top of that list also. The story pulls the reader in within the first few pages and holds you breathlessly until the very last sentence. It is the perfect woman’s fiction with a touch of mystery that keeps readers turning pages for just one more chapter late into the night. The First Mistake has many twists and turns that will keep you guessing until the last pages. I was absolutely surprised at the ending, yet all the information had been givin to me throughout the book to figure it out. I love when an author ends with a fantastic finale. It is the perfect beach read, but honestly I would not wait for warm weather to read this fantastic novel. I have read both of Ms. Jones’ novels and am waiting breathlessly for her to pen another masterpiece like the previous two. Emerson is paying for the sins of his father. In hindsight, he made the mistake of his life by leaving his research work on invasive insects and coming to work for his father at the resort he was building. It seemed like the logical choice after his grant ran out and he discovered he is the father of six year old Courtney whom he met recently. Her mother was killed by a hit and run driver so now he has custody. But the worse turn of events was finding out his father used shoddy building materials, might have murdered someone and bilked others without Emerson’s knowledge. Since his father is gone, Emerson is now facing charges that may put him away for a long time even though he had no knowledge of his father’s crimes. Just when Emerson assumes life cannot get any more complicated, the police have started questioning him in the recent attacks on young women. They seem to be connected to him so he is the logical suspect in their eyes. But there is a serial killer on the loose and he is hunting for Courtney, Emerson’s daughter. Courtney doesn’t fit his profile, but she is the only one that can identify him as the man she has had nightmares about since her mother’s death. Can Emerson stay out of jail long enough to keep her safe? Will the police listen to him when he thinks he has a stalker? For Sissy is paced as fast as lightning and just as brilliant. The story picks up momentum like and approaching storm rumbling in the distance and doesn’t stop until it unleashes its fury. The page turning tension makes this a must read for all psychological thriller buffs. The story is solid, dropping clues like breadcrumbs for the reader to follow, ending with a shocking surprise at the end that I did not see coming. I love everything about this book. The characters are multi-dimensional and believable, from the chilling calculations of the killer to the little girl. The bit players such as Emerson’s girlfriend and the police officers add richness and depth to the story. It kept me up late reading one more chapter to see what was going to happen next. The is the first book I’ve read by A. H. Gilbert, but the second one he has written. I have already put his previous book, The Crandall Haunting at the top of my list of must read books. DISCLOSURE OF MATERIAL CONNECTION: I have a material connection because I received a review copy for free in exchange for a fair and honest review. 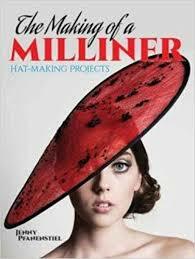 The Making of a Milliner is a book that gives detailed instructions to make beautiful hats, but it is so much more. It begins with explaining exactly what a Milliner is and the history behind the art of creating hats. Originating in the sixteenth century and hailing from Milan, Italy the English called the hat merchants Milaner – which evolved to “milliner” as it still is today. Not so many years ago, women of all ages and socioeconomic levels would have never left the house without a hat. Then hats slipped to holidays and special occasions. Now, unless you are attending a formal even, are a member of the British Royalty or going to the Kentucky Derby, you most likely don’t even think about wearing a hat. But a quote from a woman on the very first page resonated with me, because my very active eighty-something aunt always says people no longer see her anymore. Ms. Pfanenstiel shares Julie’s quote, “ …That hat was like magic.” and “…at least 20 men and women tell me they loved my hat.” Maybe it is time for women of all ages to embrace hats again. A Milliner’s world is full of skill, color and beauty. Full color photos beautifully pull the reader into the past then on to the present. The art and skills involve wool, hat blocks, feathers, beads and almost any other kind of adornment you can imagine. I am fascinated with the different types of hat blocks that are shown and the uses for each are detailed. I love the Puzzle Block. It would look so cool on a bookshelf and would surely become a conversation starter with or without a hat on it. The materials a Milliner uses are pictured with paragraphs next to them detailing the use, availability and pros and cons of each. For example, horse hair, also known as crinoline, cannot be blocked, but can be used to create effects, can be frayed, or used on a brim or as a veil. I love learning new and unexpected facts. I would have never guessed the old crinoline slip of my mother’s was made of horse hair! The instructions to make your own hats are accompanied by a list of materials and where to purchase them, as well as detailed instructions of the techniques. As in the previous sections, the color photographs help show exactly what the instructions outline. Another thing that pulls me into the story of hat making is the fun facts that are listed along with each hat. Did you know Coco Chanel created the first cloche hat? Or that the term “mad as a hatter” relates to the effects of the exposure to mercury vapors milliners experienced while working with the wet wool? I loved reading the history and art of Millinery. While I don’t think I am up to making a hat of my own, I am going to pay more attention to hats in the future, and cannot wait to pick one out for a special occasion. If you are wondering why someone would even consider wearing a hat, muh less making a hat in these casual times we live in, read this book. Hats are elegant, charming and reflect the wearer’s taste and personality. Even though I am more likely to smack a baseball cap on my head, I love trying on posh hats and have been known to purchase a few to keep the hot summer sun off of my face. 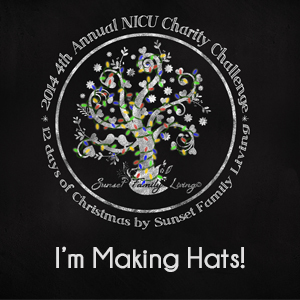 Think of Julie’s quote – she felt beautiful wearing her hat and you should too. Book Review: Knitted Toys 20 cut and colorful projects – Worth a Second Look! 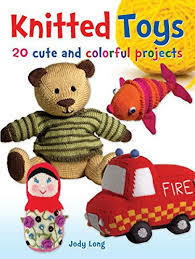 You might recognize this title from last year when I reviewed Knitted Toys for Netgalley. When I received a copy from Dover Publications this week, I sat down and read through it again and felt it warranted another shout out because it is an informative book with adorable patterns. Like any good knitting pattern book, it begins with the list of supplies that are needed as well as helpful tips such as how to stuff your toy creations properly so that the toy will not lose shape or be lumpy through lots of hours of loving as well as surviving the washing machine. It was particularly interesting to find the suggestion of using plastic straws for shaping. They don’t break, are not sharp and can be washed and dried without breaking. The patterns are colorful and varied. The airplane and firetruck are great for little boys and girls; it is nice to see something different from the usual animals even though all of them are adorable. Samuel the Snake will be easy for little hands to hold and the Squishy Beach Balls are great for indoor play. My favorite pattern is still Primrose the Nighttime Teddy. She has a nightcap and nightgown and will be the perfect buddy for a child to take to bed at night. My other favorite is Rusty the Puppy. He looks so squishy and cute I can just see a toddler cuddling up with him for a nap and dragging along on their daily adventures. I hesitate but need to note that beginning knitters may need a bit of practice before creating these cute animals. All of the patterns are clear and should be a snap for experienced knitters. There are small paragraphs of instruction for the basic stitches in the introductory pages. They are easily understood if you have knitted previously, but a new knitter may need a bit more info. But who am I to rain on someone’s parade? There are YouTube videos for everything including some wonderful detailed knitting instructions so novice knitters, go for it! Most knitters have yarn in their stashes that would more than complete one or more of these terrific toys. The patterns would make perfect take-a-long projects because each piece can easily be stashed in a purse or backpack. As I wrote before; I highly recommend this book. At the end of the first book in this series, Scarlet unwittingly released scores of the damned into the world. Her magic was new and she did not know the power or the magnitude that her actions would rain down on the world. But she has help fighting them, so she is not alone. The Connelly boys are right there with her, some more reluctantly than others. Jack has strong feelings for her, which Scarlet fully reciprocates. The other three Connelly boys are not quite as enthusiastic about Scarlet’s newfound role in their lives, but she helped save their mother, so they will always be grateful for her help. When Scarlet’s father starts acting strangle, Jack realizes that he has a demon inhabiting his body. Scarlet will do anything to save her father, even if that means entering the Otherworld to fight demons more powerful than she could imagine. Jack and Scarlet set out on a mission to save her father and most likely the world. Adding to the small job of saving mankind, the budding relationship between Scarlet and Jack begins to bloom. Like any relationship, it has its ups and downs, but considering the world as we know it might end if they don’t work together, it makes the stakes so much higher than your average lover’s spat. Once again Ms. Velez has delivered a solid plot with multidimensional characters. While Scarlet and Jack are saving humanity, Rory, Connor and Lucas are becoming more complex. Their magic is developing and they are finding out they can solve problems without Jack, who usually comes to their rescue. This is the second book in the Celtic Witch Series. It is also the second book I have read by Ms. Velez. The third book in this series will be released in late 2019. You could read this book as a one off novel because the previous book is referenced enough to understand what is happening. 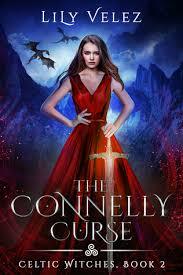 But I suggest reading The Connelly Curse first because it is a must read for Urban Fantasy fans. And more importantly, you will want to know the story and characters from the beginning. DISCLOSURE OF MATERIAL CONNECTION: I have a material connection because I received a review copy for free from Author in exchange for a fair and honest review. Copyright © 2019 Laura Hartman. 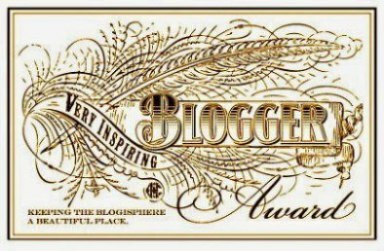 Have you ever looked at a hand lettered card, decorative sign or wall plaque and thought you would love to be able to do something like that? 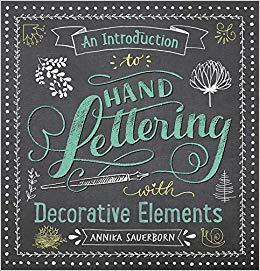 Ms. Sauerborn has written the book that will give you the instructions and the inspiration to master hand lettering with a little practice. 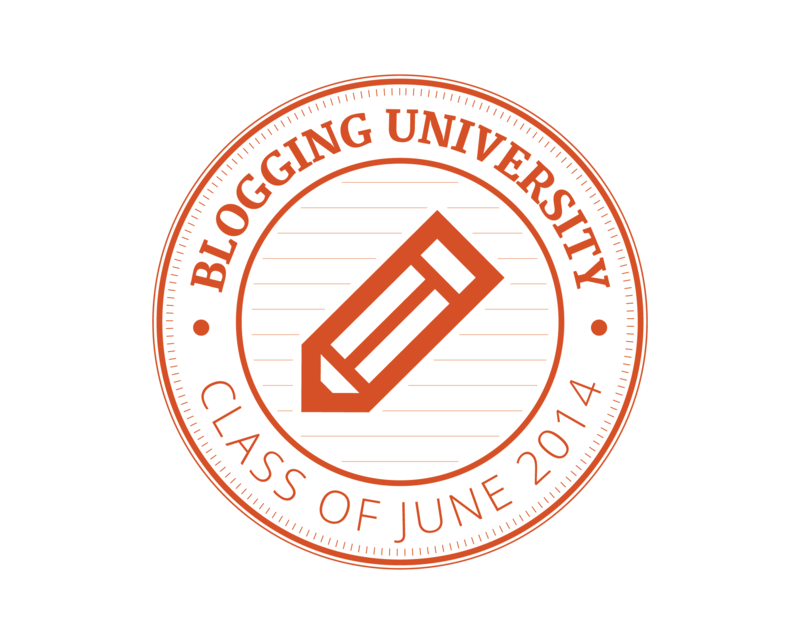 An Introduction to Hand Lettering is divided into several helpful sections. Most importantly is the Materials section. You have to use the correct tools to eliminate frustration and elevate success. You probably have most, if not all of the materials needed to begin. Pens, pencils, rulers, and sketching paper are a few examples. Following the layout of the book, you will start with borders, frames and lines, and then work your way up to images as well as various alphabets. If you feel unsure about drawing freehand, be sure to have some tracing paper on hand to practice. There are countless uses for Ms. Sauerborn’s Decorative Elements. Handmade birthday and holiday cards will wow your friends and cost a fraction of the price you would pay for a greeting card these days. The section entitled “Seasonal Illustrations and Occasions” is my favorite. Making your own gift tags for Christmas is cost effective and will add a sweet personal touch to every gift this holiday season. Making personalized signs for the holidays is also fun. You could hang one at the front door to greet visitors. They just might want you to make one for them! This book is designed for teens and adults because younger children would most likely become frustrated if they tried this on their own. I say this because there are no set designs, but you are given all of the elements to create hand lettered items that are only limited by your imagination. Even if you aren’t a “crafty” person, you can trace the images and letters to create whatever you envision. 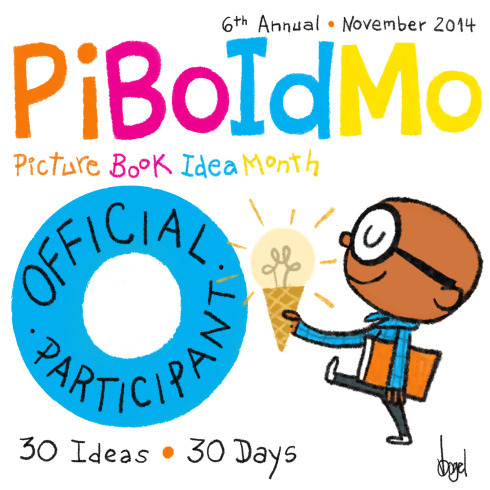 If you are artistic, you will be delighted by the inspiration and ideas you find inside these pages.